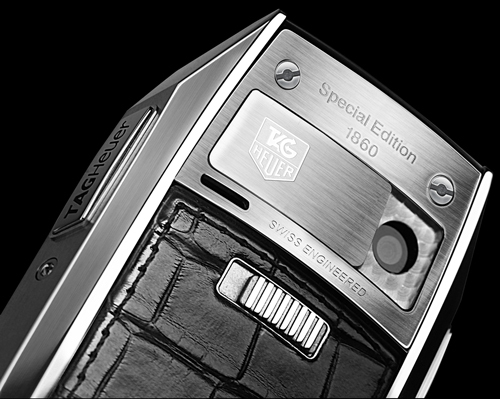 Across six new styles, and with a limited 1860 pieces in production, TAG Heuer advances the design of the MERIDIIST mobile phone by extending the use of sapphire crystal from the front screen to the base of the keypad creating one signature, sleek surface. Since 1860, TAG Heuer advances a tradition of forging timekeeping tools that are always at the helm of performance and innovation. TAG Heuer MERIDIIST, launched in 2008, translates the values of horology craftsmanship to the realm of mobile communication tools, guarding the core integrity of TAG Heuer’s history of pioneering advancements and impeccable styling. The MERIDIIST Sapphire Special Edition 1860 highlights the values of tradition and modernity through its limited production of 1,860 pieces across six models – with all the top screen, front screen and keypad constructed in sapphire crystal that significantly raises the stakes in precision design for the evolution of the MERIDIIST communication instrument. “Special Edition 1860” is engraved on the stainless steel rear plate to commemorate a key moment in the past – the year Edouard Heuer founded his Swiss workshop – as well as the craftsmanship of the present, and the value of a future collectible. Sapphire crystal is treasured for its exceptional hardness, light transmission and stability in extreme thermodynamic conditions. It is a key material in the designs of even the earliest MERIDIIST communication instruments, notably used for the GMT sub-screen for tailored time-zone and call management as well as for the sapphire crystal front display screen shaped like a subtle convex dome. 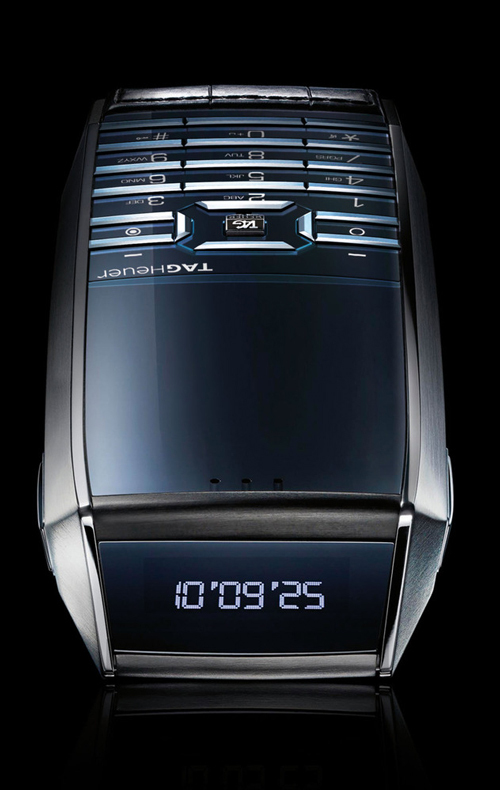 The MERIDIIST Sapphire Special Edition 1860 seamlessly extends the sapphire crystal display screen to the keypad base, displaying the backlit numbers and embedding the keys, which are bevel-cut chamfers. Extending sapphire crystal to the keypad increases the total number of individual components in the MERIDIIST, for a total of 450 mechanical elements altogether. This naturally entails a more intensive engagement of hand-assemblage and devoted workmanship; the brilliance, colour and form of the sapphire crystal must be monitored with rigour for overall homogeneity. A total of 93.9 carats of unscratchable sapphire crystal unify the overall aesthetic of the MERIDIIST Sapphire Special Edition 1860, directly in line with the timeless design codes of MERIDIIST’s past and future evolutions to come. As a textured contrast to the sleek sapphire crystal, each of the six models feature authentic alligator skin, sourced exclusively from certified breeding farms, on the back encasing of the handset. Whether black, brown or grey alligator, the stitching and bottom rubber antenna cover correspond in colour. For further contrast, the vertical sides, side buttons, screws and rear camera shutter are all 316L stainless steel in various finishes: satin-brushed, mirror-polished, fine perlage and a TAG Heuer shield engraving. A fourth colour, deep blue alligator, features light blue stitching as well as top-polished and back-sandblasted screws with a bright blue PVD finish. These four models each their own colour – black, brown, grey and deep blue – complement the strength of the cool steel for an understated, classic elegance that is typically TAG Heuer. Just as a black and white photograph brings forms and textures into relief, two styles in white and black alligator provide a stunning contrast to the sapphire crystal for scintillating luminescence and rich depth. MERIDIIST Sapphire Special Edition 1860 in Light Diamonds features white alligator with stitching on the rear cover, and mirror polished sides; the true brilliance of this model lies in the setting of 130 diamonds – 0.645 carats total – across the top bar above the screen and encrusted into the TAG Heuer shield on the stainless steel rear camera plate. An accompanying certificate not only confirms the quality and authenticity of the precious stones but also assures their non-conflict zone origins. For ultimate impact, the MERIDIIST Sapphire Special Edition 1860 Black & Gold is a captivating mix of black material finishes: the alligator skin, stitching, full mirror-polished PVD sides and keys are all black and together bring out the depths of the sapphire crystal. Warm rose gold provides a powerful offset to the overall dominance of black, with polished gold on the top bar, side buttons, the central selection key as well as mirror-polished gold on the back camera shutter engraved with TAG Heuer shield. A total of 9.85 grams of pure gold form a MERIDIIST that is supremely original, nearly regal. MERIDIIST Sapphire Special Edition 1860 advances a design evolution that, since 2008, is constantly in the pursuit of a finer line, a rarer finish, and a more elegant whole. It unites the principles of tradition and contemporary glamour of today. In 1860, Edouard Heuer laid the avant-garde foundations for all the expert hands today – still based in Switzerland – that construct each engineering component, refined texture and material polish.